Manco & Manco Pizza location at 9th Street and the Boardwalk in Ocean City, New Jersey. 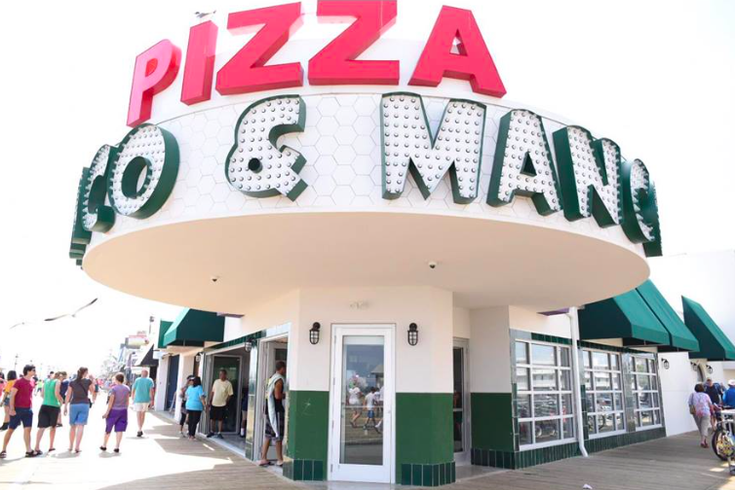 The owner of the popular Ocean City Boardwalk pizza chain Manco & Manco reportedly was released from federal prison last week after serving time for a tax evasion conviction. Charles Bangle, 58, of Somers Point, had pleaded guilty to charges in 2015. He was sentenced to 15 months in federal prison in February 2017 and began serving his sentence in September 2017. Bangle was released last Friday, according to The Press of Atlantic City. Prosecutors said Bangle failed to report $263,113 in income and avoided more than $91,000 in taxes. To escape federal reporting requirements, he also made cash deposits under $10,000 in February 2011. Bangle's wife, Mary Bangle, was sentenced to three years of probation after admitting she lied to IRS agents about cash receipts she claimed were from Manco & Manco but were really for personal expenses and bank accounts. The couple purchased a controlling interest in the former Mack & Manco pizzerias in 2011, a deal facilitated by Mary Bangle, the daughter of Frank Manco, the founder of the first restaurant with Dominic "Duke" Mack in 1956. It was located at Ninth Street and the Boardwalk in Ocean City. A federal judge ordered the Bangles to pay $248,560 in restitution as part of the tax evasion sentences. Manco & Manco has three locations on the Ocean City Boardwalk and one in a strip mall in Somers Point.